It all began with a baby named Grace. As her baptism approached, I wanted to present her with something unique – something I could personalize – to remember the occasion. I figured she would receive a Bible with her name inscribed on the cover from someone else so I was looking for another option (I wasn’t sure exactly what). It was one of those “I’ll know it when I see it” kind of situations! Though I scoured the Internet, I came up empty. Of course that’s not to suggest there are no lovely baptism gift options available. My issue was that I wanted something that would commemorate the occasion in a personal way. In that baptism, the seeds of The Christian Gift were planted. 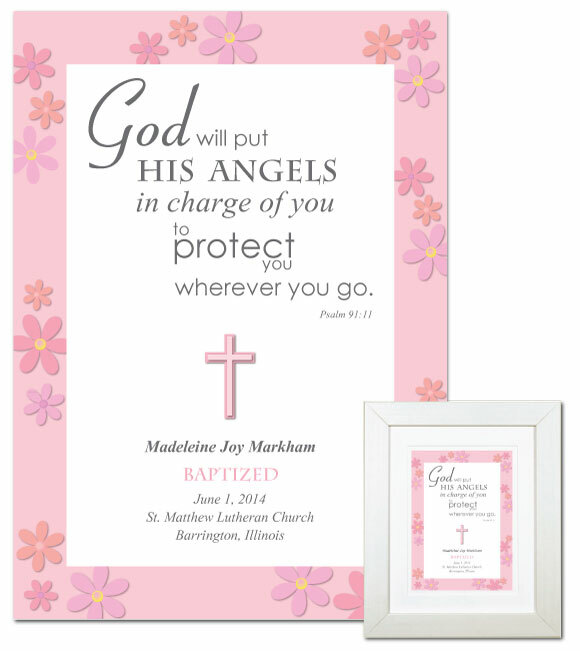 Though we started by designing personalized baptism keepsakes, the idea quickly expanded into something much larger. It’s accurate, though, to say that our baptism mementos were the biggest sellers when we first launched, and that’s what put us on the map.